Parmalat holds a rich Australian history and its vast product portfolio boasts national favourites as well as globally renowned brands like Vaalia, Galbani, OAK and Pauls. But despite these strengths, Parmalat’s foodservice offering was almost unknown. Our challenge was to develop a differentiating and motivating masterbrand positioning for Parmalat Professional that was universally appealing without becoming generic in the industry. 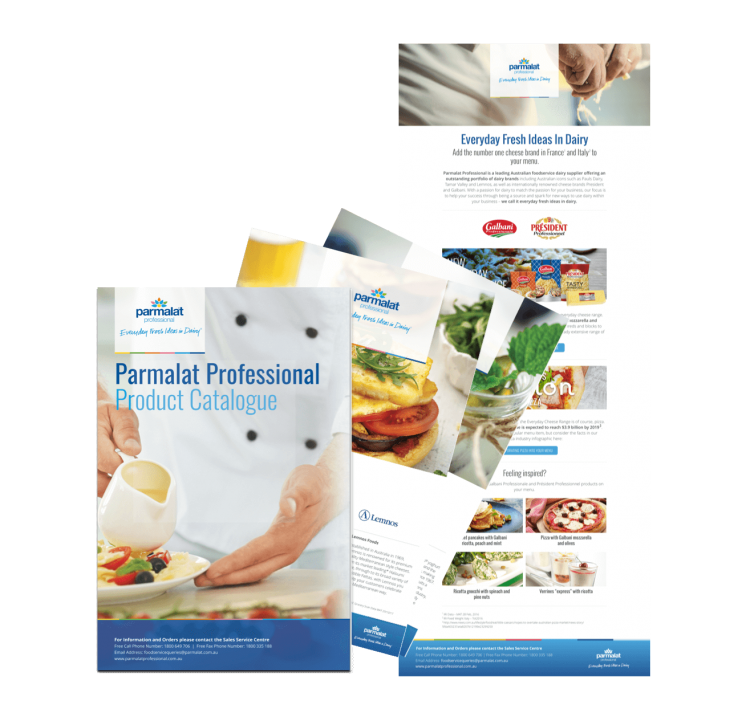 A pivotal objective was to bring to life the brand positioning of Parmalat Professional, through the online medium and convert awareness and consideration for multiple target audiences. 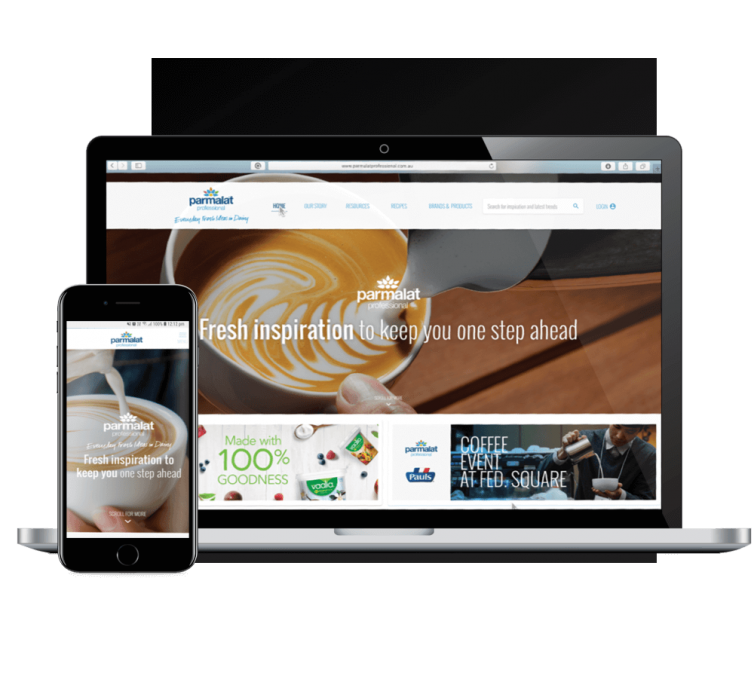 We set out to create an all-encompassing online destination for professional Foodservice customers. With a focus on UX, we wanted to create a space that provided both innovative and insightful content, amplified the brand and shared Everyday Fresh Ideas In Dairy. 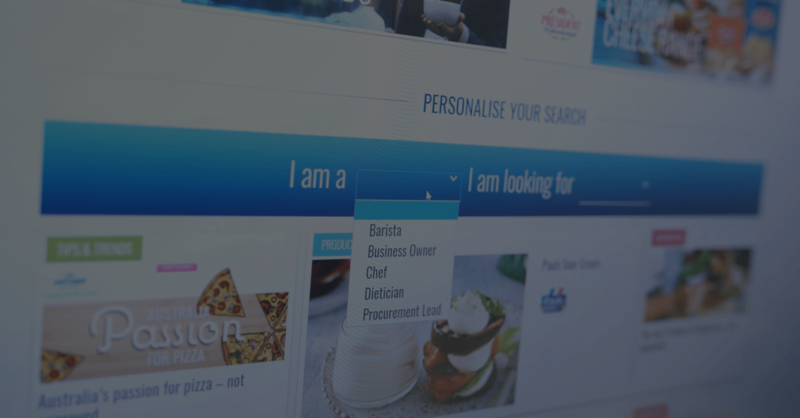 We spent 20 hours developing five personas for a customised and personalised website. We produced 120 pieces of content across four categories: Education, Inspiration, Product and Brand. We spent 30 hours planning website information architecture to optimise SEO and UX. We developed semantic page themes by category, keyword rich content powered by our proprietary tool, Social Pulse IBM Watson and bespoke user experience design. Print Ads, Business Cards and Catalogues were also designed to push Parmalat Professional outside of digital.